Ukraine, which goes to the polls to select a new President on Sunday, March 31, may well choose a comedian with no political experience as its next President. 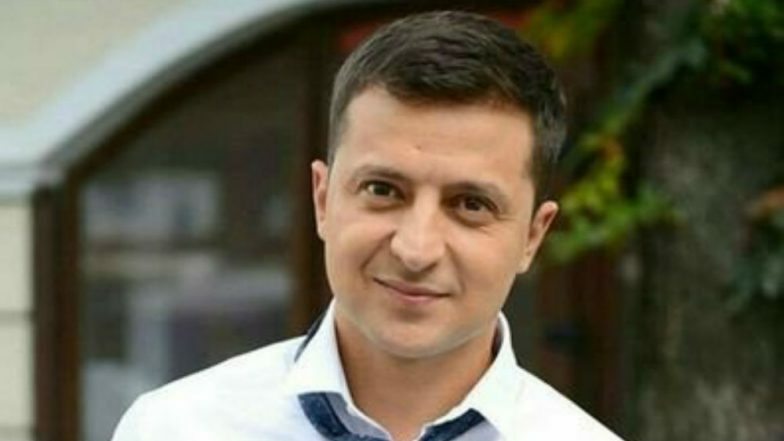 The leading pre-poll surveys before first round voting hint that actor Volodymyr Zelensky could well be on his way to become the next President of Ukraine. Interestingly, the actor played President in a TV show he acted in. Rahul Ram's New Song 'Chunaav Ka Mahina' Steals the Show Among 2019 Lok Sabha Election Parodies on Social Media: Watch Video. Zelensky is leading the opinion polls days ahead of the first round of voting. He is ahead of the incumbent President Petro Poroshenko, by a fair margin. Petro Poroshenko is the runner-up. The runoff vote will take place on April 21. The 41-year-old star of political comedy "Servant of the People," played a poor but virtuous teacher, who goes on to become the President of his country. "Zelensky, who has a young support base, confesses he has "no experience" but insists he has the strength to lead Ukraine -- a country of 45 million locked in a separatist conflict," reported the AFP. The news agency also quoted the comedian saying that he is learning everything he can as far as politics is concerned as he doesn't "want to look like an idiot." Observers have credited Zelensky's popularity to two factors. One is his popularity and another is the deep dispensation with the ruling establishment. However, critics have pointed out that Zelensky owes his prominence to a TV channel owned by one of Ukraine's top oligarchs, Igor Kolomoisky. The lawyer of Igor Kolomoisky is also part of Zelensky's election campaign team. However, Both Kolomoisky and Zelensky deny that they have a political understanding. Ukrainian President Petro Poroshenko in January had launched an uphill battle for re-election, after five years in power marked by confrontation with Russia. His main contender was supposed to be Yulia Tymoshenko, who rose to international prominence in 2004 during the anti-corruption Orange Revolution demonstrations and announced her own run last week. But comedian Zelensky is ahead of both Poroshenko and Yulia Tymoshenko. The rise of comedians is not restricted to Ukraine alone. India, which goes to polls in April to elect the government which will govern the country for the next five years, has a number of stand up comedians commenting on the political scene prevalent. Ahead of the 17th General Elections, number of satirist have been voicing their opinion on matters of public importance. And though there is lot of comedy and leg pulling in India in the election speeches, the political scene is mostly populated by "serious politicians" with years of experience.